Soundtrack Loops produces royalty free loops for you to use freely in your iMovies and other multi-media compositions. Soundtrack loops are designed specifically for use in Apple Soundtrack, Garageband, Logic, Pro Tools, Cubase, Recycle, Reason, Stylus, Beatmaker and Sony’s Acid. Each file is saved in .AIFF, .WAV, .BMKZ and .RX2 format. Optimized with maximum search-able meta data such as Guitars, Synths, Drums, Winds, Processed, Distorted, Clean, ect. 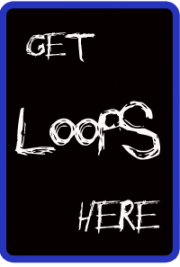 Choose from thousands of loops to create your own sound, songs, themes, YouTube soundtracks, or podcasts. Create video game sound effects, make DVD menus, websites or add music to your home movies. Each and every loop is guaranteed to be a hit. A lot of time has gone into these sounds to assure the best quality and ease of use. All Loops are cross platform and work on both PC and Macs. Thank you for checking us out and please check back for more loops and additions. Download them today!